We had about 150 of us gathered at Desaru for the Sat 4.30 pm and Sun 9 am Congregation Camp. Revd Chris Royer from Anglican Frontier Missions was our speaker. 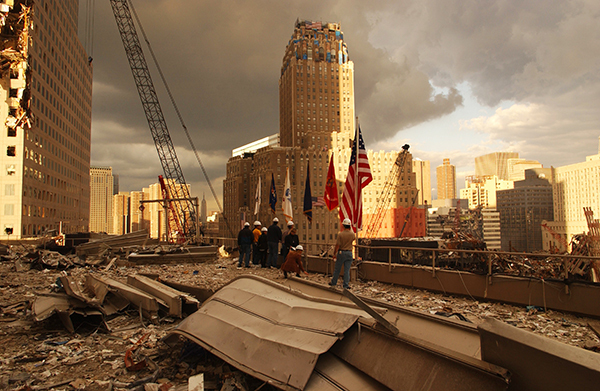 Chris had served on the “frontier” as a missionary in some of the most difficult areas. He shared many encouraging stories of “untamed faith”, something we Singaporeans needed to hear. We are too used to living our lives and practising our faith well within the safety and comfort zone of our urban city. We need to “let go of the ropes.” He also spoke about the need for holiness and living an uncompromised life in this day and age. Other aspects of the Camp was fun, refreshing and community building. We were enriched just being led to worship the Lord. Malaysian food always seemed a bit more ethnic though there were also Johorean flies to swat in this seaside resort. There were also some children centered activities. All in all, it was a great Camp and those who are going for the third one (8 & 1115 am at Batam) can expect an enriching time too. 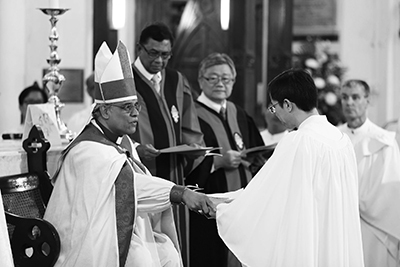 Revd Alvin Toh was made a deacon recently. As a part of his training, we have felt it right to have him serving actively at the 8 and 1115 am Services under the mentoring leadership of Revd Peter Cook. As always, enculturation is the best way for one to learn to be familiar and comfortable with Anglican tradition and manner of worship. We also hope that Alvin will be more acquainted with members from these more established Services. This means that he has to relinquish his role as Service Pastor at 4.30 pm Sat (previously 5 pm). Revd Freddy Lim will play that role w.e.f. 1st July, on top of his responsibilities as Pastor of the Hokkien Service. They will both appreciate your prayers and support. Revd Timothy Chow will also be posted out w.e.f. 1st Sept to serve as Vicar of The Chapel of Christ the King. 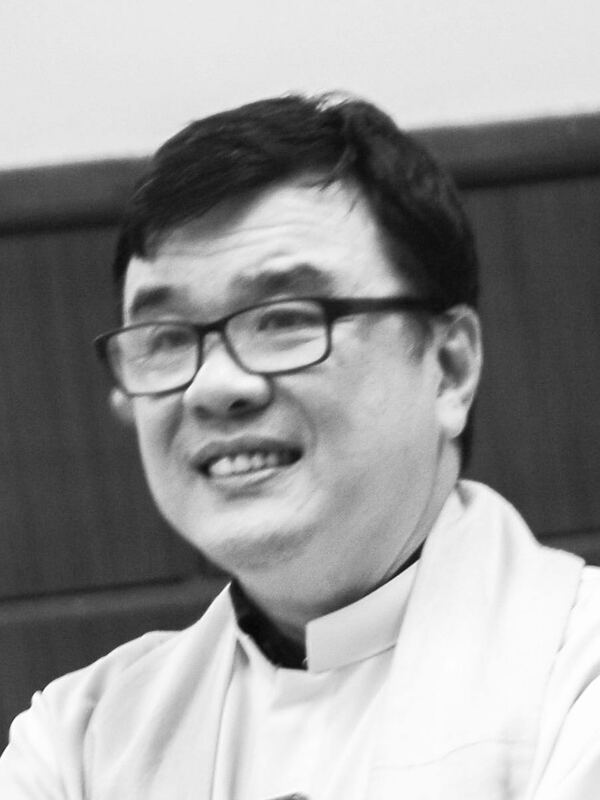 Revd Bertram Cheong will join SAC w.e.f. 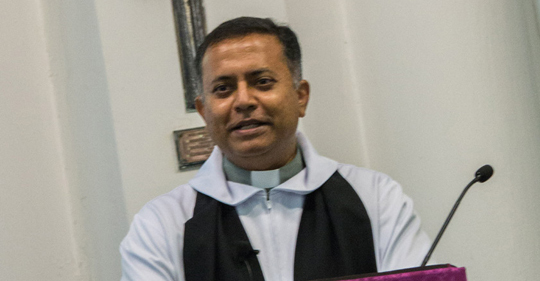 1st July and he will replace Timothy as Priest-in-charge of the Westside Anglican Church, apart from other ministry roles in SAC. Do welcome him and his wife, Cherlie warmly. We will also bid farewell to Revd John Lin, Connie and their children, Grace, Charis and Timothy. W.e.f. 1st July, he will be the Vicar of St John’s Chapel. They have been a very integral part of the 9 am Congregation (which helped plant the Sat Service) and he will be deeply missed. We remind ourselves to “love deeply but hold lightly.” In the seasons of life with its ebb and flow, we know of a love that is ever present and lodges deep even as we learn to let go, move on and form new relationships in the Lord. We don’t develop long term emotional attachment except for only one: to our Lord Jesus Christ and avail our hearts to every brother and sister that he brings to our path. And we remind ourselves that our lives are very transient as we build into eternity where we shall one day be gathered before Him. May every friendship in the Lord find its full and eternal riches on that day.